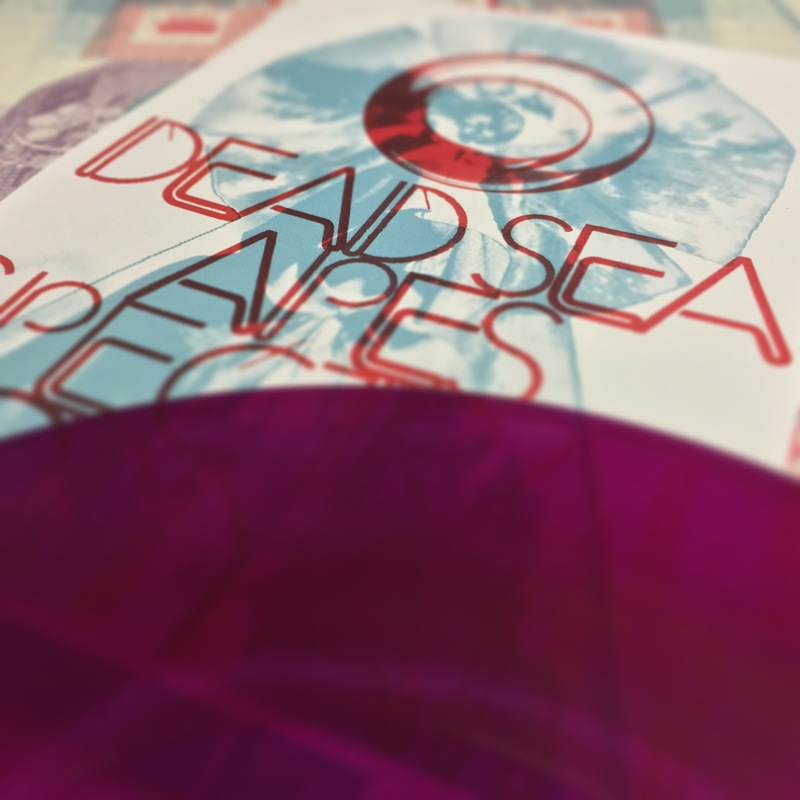 The world of psyche drone rock has opened its doors and welcomed Dead Sea Apes and their album Spectral Domain. The three-piece from Manchester, UK have really taken their time and expanded on their sound, leaving us with five exploratory and mesmerizing instrumental entities. This album is a joint release between two very unique labels; Sunrise Ocean Bender and Cardinal Fuzz Records. Check out their catalogs as they offer a broad range of very distinct artists. Our experience begins with the meditative “Universal Interrogator.” Running at 10:29, this one is very dense and spaced-out. It somewhat resembles a cross between Monster Magnets’ 25… Tab and a subdued UFOMAMMUT. The drumming on this track really takes over and pulls you into their pyche-droned minds. The additional synths along with the repetitive riffs will nest within you, the song goes by rather quickly as it’s very easy to get lost in this one. The next two tracks, “True Believers” and “An Unclosing Eye” keeps us trapped within their aura, fans of OM will really take a liking to these two. “True Believers” almost treks into doom territory, but never quite gets there, it’s more of a spaced-out vibe. “An Unclosing Eye” has a droning Middle Eastern sound quality, giving the album some needed variety. The fourth track “Brought to Light” is full of psychedelic, droning ambiance, the single riff is quite mesmerizing and this leads us to the closing track “Sixth Side of the Pentagon.” Just sit back, crank this one up and let it fill the room. Clocking in at 11:17, they really explore the outer realms of the psyche drone world. The bass is terrific here, it keeps the song grounded as the minimalist space rock sounds travel aimlessly through the room. The song also builds beautifully over time, so stick with it, patience is a virtue. Dead Sea Apes have tapped into our conscious here at Rotation11, they seemed to have pulled us into their dense psychedelic world very easily. We have no doubt fans of this style of music will gravitate towards this spectral domain, so join us for the ride, you will not be disappointed.